In a continued effort to bring the best gaming experience to the scene, Bliss-Box and RetroArch have some exciting new developments. These cables come in the way of dongles and adapter boards. 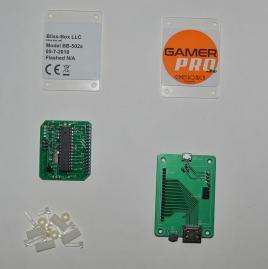 The boards were created to support low demand cable types and thus in the form of a mini adapter. Also if you have not yet taken advantage of the exclusive offer from RetroArch, there is still time to get the deal. That’s 2 free cables with the purchase of a new 4-play kit. Plus, part of the profit goes to help RetroArch. There is also a bit more exciting news coming down the pike. 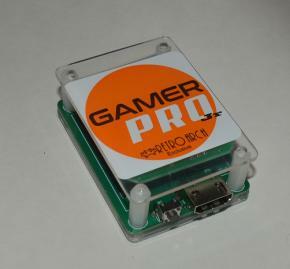 Here is a sneak peek at one of the new products Bliss-Box and RetroArch are bring to the scene. This will be the first ever single player Bliss-Box adapter. It comes in the form of a D.I.Y kit and planned to be packaged with a D.I.Y product from Retro Arch. Yes you heard it right, RetroArch product, more to come on this soon. And a final word in case you missed it, Bliss-Box and RetroArch were just featured on Linus Tech Tips, check it out here. The above paragraphs were written by ulao, Bliss-Box author. Allow me to expand on our collaboration with Bliss-Box for a moment here and why we feel the need to feature this product on a regular basis. Bliss-Box has bigger aspirations beyond just being a controller adapter system. While people using original controllers of old videogame systems is obviously a big step forward in terms of bringing that authentic feeling of playing the real game, there still remains missing elements that serve to break the cognitive dissonance that you are playing on the real hardware. Things that come to mind would be for instance the Rumble Pak on the N64 not working, or the Controller Pak not being able to be read, or the VMU unit inside a Dreamcast controller not showing anything onscreen. Obviously, to make all this happen, not only do modifications need to be made to the firmware of the Bliss-Box adapter, but RetroArch will have to drive audio/input/video data back to the Bliss-Box so that the Bliss-Box can then interpret this data and do something with it. 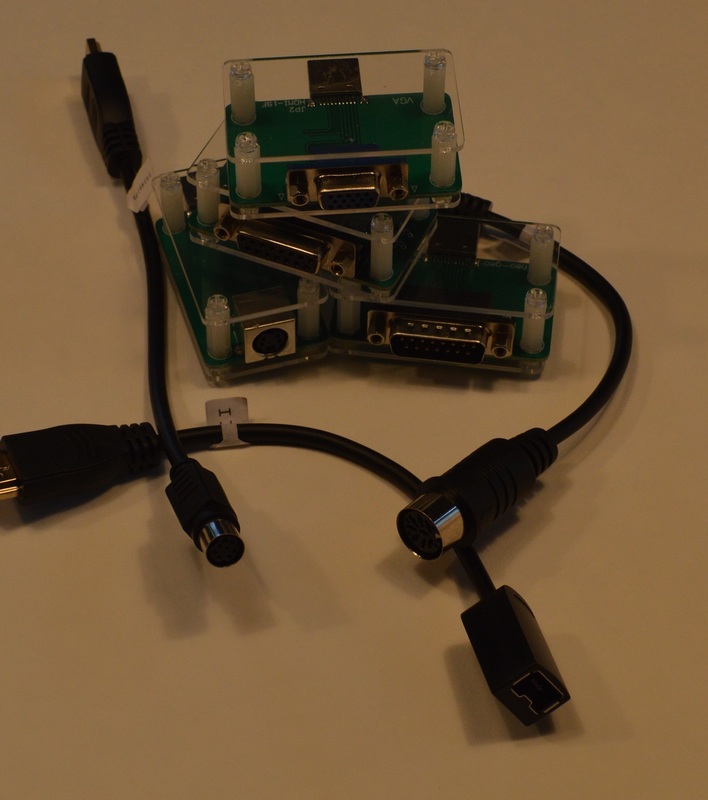 According to the Author, the Bliss-Box can even tunnel the native controller data via USB. This makes it possible to talk directly to and from the game itself. To this end, we are highly interested in implementing the necessary extensions to the libretro API in the near future so that Bliss-Box will be able to do such things, such as being able to read a real physical memory card instead of a virtual one directly from the joypad device, or being able to display graphics on the VMU and be able to read/write to the VMU as well. We see this as a perfect marriage of two projects that both strive to bring the experience of playing on a real console as close to the original as possible. Of course, this will require further development, where both Libretro authors and Bliss-Box authors will need to collaborate in order to get this fully implemented, and we cannot give you an exact ETA when such functionality will be available. Nevertheless, I wanted to take the opportunity to explain just what the nature of our collaboration with Bliss-Box is, and why we are backing the project so firmly. Thank you for your time, and hopefully you will be able to understand better exactly what the future holds with regards to this new-found Bliss-Box/RetroArch marriage. Next post:Reicast Libretro now supports online multiplayer! Zero-configuration online Dreamcast gaming for the first time ever!